Richard Adams, the author of the 1972 book Watership Down and its 1996 sequel Tales from Watership Down, has passed away. He was 96. I first encountered Adams' story in the form of its 1978 animated adaptation. I couldn't've been more than four years old, at which age the film's dark themes and imagery were entirely inappropriate. Likely my mother thought "Oh, a cartoon about talking bunnies! Kenny will love it," and taped it off TV for me. She couldn't've known it would probably scare me — and yet it didn't. At that age, I was drawn to dark, gothic stories. Every night before going to bed, I would watch Tom Baker as Dr. Who, which featured stories that I rightly should've found scary. Yet despite, or perhaps because of, these stories' creepy tones, I found myself watching them over and over. Although my geek nature was becoming obvious, I was too young to have the social context in which to feel like an outsider. Yet Fiver's character nonetheless resonated with me. Unlike his bunny brethren, he was scrawny and needed help — but he had his own unusual strengths and contributions to offer. Hazel didn't always understand his brother, but he stood up for him. Ultimately, the band of rabbits never would've found their way to Watership Down without the two of them working together. As the youngest of four brothers, I hoped I would enjoy such support and success with my own family. 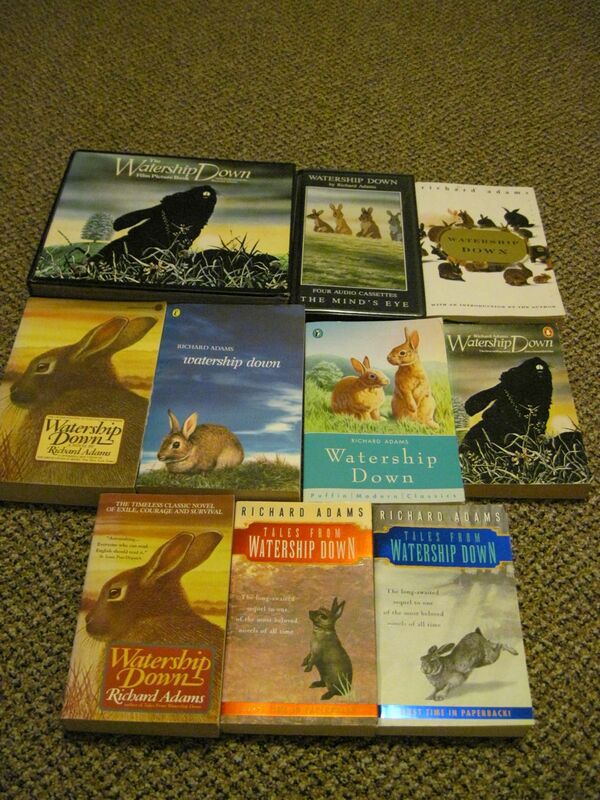 In 2001, I visited Ireland and bought a used copy of Watership Down. I'd never read the book, but I was drawn to the silhouette of a pained rabbit on its cover, using art taken from the movie. I began collecting all editions I could find of Watership Down — hardcover and softcover, printed and audio, foreign and domestic. The below photo is only a sample of my current collection. A sampling of the various book and audio editions I've purchased. It was while searching my local bookstore for additional editions that I discovered Adams had written a sequel: the anthology Tales from Watership Down. I immediately purchased and read it, complementing the movie I'd grown up with. And yet I still hadn't read the original novel; I was afraid that doing so would somehow change my experience with the film. I'd heard that the book was used as a text in some political science courses, and I didn't want this adventurous tale to be dragged down by academic analysis. But I did eventually read the book — an aged, yellowed copy that was older than me. 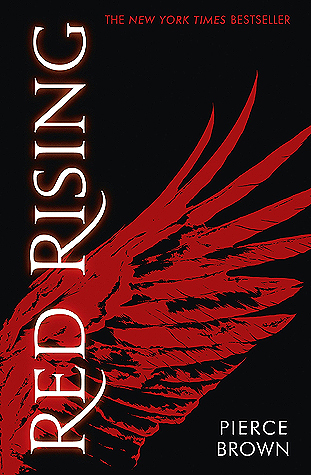 It was a surreal experience to read a book for the first time and yet already know what was going to happen, sometimes down to the exact lines of dialogue — the film I'd been watching for twenty years proved an excellent adaptation. My memories of the movie are still stronger, but both versions captured all the tension, drama, and emotion of Adams' tale. When I later became a high school teacher, I wanted to share the Watership Down experience with my 11th-grade film studies students — violating the exact principle that had led me to avoid the book for so long. But, motivated more by personal connection than academic value, I showed them the movie — and was shocked that they found it disturbing! Of course, it is disturbing, but I thought 17-year-olds would've seen worse. For them, there was a disconnect between the medium and the content: like my mother, they expected animated movies to be cartoonish, and they were horrified to instead be presented with frothing dogs and rabbits bloodily tearing each other's throats out. Although it was unfair of them to pigeonhole animated movies as being suitable for children, I nonetheless omitted the movie from my next syllabus. My greatest experience with the story of Watership Down was still to come. Ten years ago, in 2006, I went on a three-day trip to London. Two of the days were already planned, and it wasn't until I was there that I thought how to spend the third day. Looking at a map, I realized I was only a day trip away from the real Watership Down. Although the story is fiction, all its settings are real — and I had an unprecedented opportunity to see them for myself. My friend Laura and I got in her car and started driving. We knew we were getting close when we found an inn named after Watership Down, whose décor featured that exact same Irish book cover, blown up and framed as a poster. Nuthanger Farm, the iron road, and more were nearby … but the Down itself was my destination. It proved to be on private property, which I didn't hesitate to trespass. The proprietors spotted and confronted me but did not begrudge me when I explained, in my American accent, that it was a lifelong dream of mine to visit the Down and that I had no ill intent. They explained that I was in fact climbing the wrong down. There were two downs that could've been Watership; this is the first one. Nuthanger Farm, the last stop the Sandleford rabbits made on their trip south to Watership. The shed where Hazel tried to free some does before being shot. A rabbits-eye view of Nuthanger Farm. "That's the place for us. High, lonely hills… where the wind and the sound carry, and the ground's as dry as straw in a barn." "A high, lonely place with dry soil… where we can see and hear all around, and men hardly ever come." "You want us to climb this, is that it?" The trail that Blackberry led the dog down when Watership Down was under siege by the Efrafa rabbits. Off in the distance: Nuthanger Farm. "O Frith on the hills! He made it all for us!" "Frith may have made it… but Fiver found it." "Come and look. You can see the whole world!" On second thought, this might be Watership Down. 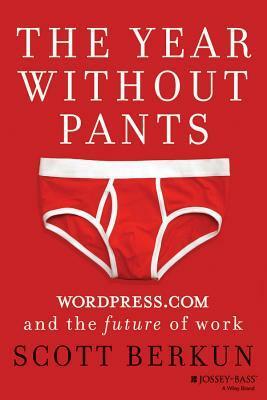 The movie poster, later adapted as a book cover. About a half-mile west of the river was this inn. This is the river (if not the exact spot) where the Sandleford rabbits escaped from General Woundwort via boat. These are the tracks which General Holly crossed on his way from Efrafa to Watership. The actual crossing probably occurred a half-mile west of here. This looks like the "iron road" where Frith turned a bolt of lightning into a great bird to attack General Woundwort. The actual bridge is probably a mile west of here. The iron road from the southern side. Note the hrududu. Have you photographed Watership Down? Yes!… and no… Your photos 1–5 are certainly Watership :-) Watership proper is the hilly bit on the left of these photos. The saddle of trees covers the road over the downs, to the right in these photos is Hare Warren Down. The downs being the hilly bits obviously. The two pylons are not the one featured in the book but the ones by the raod and to the east on Hare Warren Down. The one in the book stands in the field to the north of Watership, not right at the base by the road or, on the slope of the (a) down. So, I think your guy was right-ish — at that point you were not on Watership, or maybe you were, but only just. Your picture #10 entitled 'the pylon', was taken from on Watership looking down, but THE pylon is to the right of the photo. However, from what I can see your pictures from the top of a down, do indeed appear to be from Watership, though not from right on top. You have correctly located Nuthanger — that's it all right :-) and can be seen in your picture #7, well, the track to it can be seen on the far right of that picture! Even on that the pylon is off to the right. I think that had you explored on top of the down, and gone further you would indeed have found the beech hanger. Yes, you were standing on Watership Down, though not part of the down specifically mentioned in 'Watership Down' if you see what I mean :-) Watership Down is about a mile long, and you maybe got only 1/8 of a mile onto it when you needed to be 1/3 of mile on to it to find the hanger. I like the film quad — I presume it was in the pub. The photos of the Nuthanger outbuildings are atmospheric, its a pity the English weather was not more Watership Down-like (the book that is!). I hope it didn;t spoil your trip. Even if I didn't see the beech tree or even climbed the right down, to know that I trod the same ground as the Saddleford rabbits was a dream come true, and one I'll always cherish. Shortly after I got back from London was my birthday. I thought my book collection of Watership Down was complete, but my friend Erica surprised me when she sent me The Watership Down Film Picture Book, retelling the rabbits' tale using frames from the movie. I'd never known this 1978 book even existed, or that anyone knew me well enough to surprise me with it. It's rare that a gift brings me to tears, but this was such an occasion. Four years later, in 2010, Erica invited me to join her at the Fryeburg Fair, a county fair filled with food, amusements, and livestock. Knowing my fascination with Watership Down and being a rabbit-owner herself, Erica was unsurprised that my camera got its most use once I spotted the rabbit hutches. I've never owned a rabbit myself, and I don't think it's something I'd explore. But my neighborhood is rampant with the critters, and I often consider it a good day when I spot one on my walk to or from work. My relationship with Watership Down continues to this day. I still have the VHS tape my mom originally recorded the movie on, 1983 commercials and all. For preservation and redundancy, I've also bought Watership Down on DVD and then on Blu-Ray, as well as the three-season animated series — which, unsurprisingly, I've never watched. Maybe some day I will. But even if I don't, I'll likely watch the movie again and revisit the books. I may've been to Watership Down only once, but it's been a part of me as long as I can remember — and for that, I thank Richard Adams. "You needn't worry about them," said his companion. "They'll be alright — and thousands like them."